Chris Ramsey, Richard Herring and Frank Skinner will all return to the Edinburgh Fringe with shows this summer. Ramsey, nominated for the Edinburgh Comedy Award in 2011, has confirmed an eight-night run at Pleasance One, performing his most recent show, The Most Dangerous Man On Saturday Morning Television. Herring, meanwhile, will take two shows to Edinburgh: I Killed Rasputin, a play about the murder of the Mad Monk, and his new stand-up show, Lord Of The Dance Settee. And after seven years out, Skinner brings his Man In A Suit tour to the Fringe for a full, 24-date run at Assembly George Square Theatre. The shows were announced today as part of comedy agency Avalon’s 2014 Edinburgh Fringe line-up, which also includes month-long runs from Al Murray, Alex Horne and Alun Cochrane. 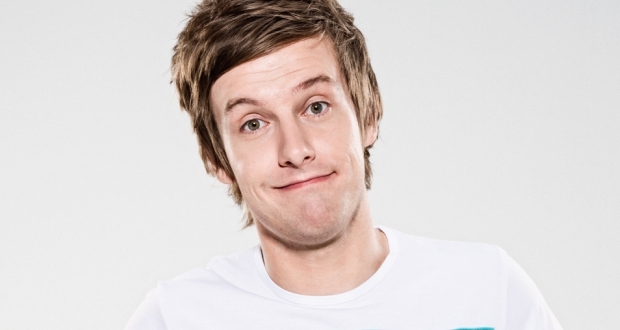 Elsewhere in the programme, Chris Ramsey’s tour support Carl Hutchinson joins the Hebburn star at the Pleasance with his new hour, Here’s Me Show. Double-act Ray Peacock and Ed Gamble go their separate ways for month-long solo shows at the festival. And 2010 Edinburgh Comedy Award winner Russell Kane brings three shows to the Scottish capital, including his podcast The Kaneing and The Closure of Craig Solly, a dark monologue about a psychotic gangster. Tickets for all Avalon shows are available to buy from Tuesday 13 May via edinburghsbestcomedy.com.